People of all ages gravitate towards Buzzfeed, but what makes this media outlet so attention-catching? While the media company does not always hit the mark with their rapid content production, they do sustain a massive readership that earns international attention. Small companies can use some of the site’s techniques to increase readership, drive engagement, and provide value to their audiences. Why Take Notes from a Site Like Buzzfeed? When you go onto the site, you will notice several characteristics that make Buzzfeed stand out as a site for serious journalism, native advertising, entertainment, and viral social media posts. You’ll see the distinctive badges that indicate the type of popular content (e.g. quizzes, trending posts, and OMG stories). You’ll also see the constantly regenerating list of posts that aren’t separated by type on the main page. Behind the scenes, however, the minds at Buzzfeed have calculated what drives audience clicks. They represent a great example of one of the world’s first websites that knew the secret to creating interesting content on a daily basis. Back in 2013, New York Magazine posted an article about Buzzfeed founder Jonah Peretti’s story. When Peretti was a graduate student at MIT, he and another student were exploring the nature of viral content. Understanding viral content still raises some hotly debated philosophical and science-based questions, but Buzzfeed’s model has maintained its success. As of summer 2015, the website’s value hovered around $1.5 billion. Consider native advertising – Some websites mask advertiser content with different fonts and language, but Buzzfeed and other major news sites today go one step further. Their advertisers develop content that adds value to a readership. As a small business, think about the brands you sell or the vendors you prefer. Instead of allowing them to run a banner advertisement, ask them to create sponsored content for your audience. Native advertising is not content marketing, but it is a great paid content distribution platform. Diversify post authors, not just topics – Do you attribute all content to one primary author on your blog or company social media page? Unless the blog is a devoted CEO blog, consider mixed author representation. Encourage everyone at the office to create content or come up with ideas from their unique perspectives. Readerships naturally gravitate towards relatable points of view. Diversifying author ages, company roles, and perspectives may improve your ability to connect. You may even want to open the door for client and company enthusiast posts.On Buzzfeed, you may have difficulty immediately seeing the source for a piece of content. The homepage only lists an author. That author might be an office GM, an employee, an intern, or a community contributor. Consider creating author pages to showcase the work of individuals. Get interactive – Companies that only release similarly structured 500 word posts are missing out on a world of content possibility. Vary your content to include short and long-form articles as well as polls, surveys, and quizzes. Quizzes don’t have to reveal a scientific measure – they only need to appeal to human interest.Start a survey or a poll on social media, via an email newsletter, and on your website, then make the results work for you. Use the findings in an article and as a source for marketing insights. Interactive media are some of the most successful posts any company can produce because they often serve as a disguised call to action. Insert yourself into global conversations – Do you remember the viral dress controversy? An image appeared to show a black and blue dress to some people and white and gold to others. The phenomenon had the whole world talking. The dress was on television shows, featured on major news outlets such as Fox News and CNN, and all over social media. You don’t always have to create viral content to take advantage of its viral nature.Simply share, comment on, or like the phenomenon to put your name out there. When Buzzfeed got in on the action with a post, the company earned more than 38.9 million views and thousands of Facebook generated conversations. Change the way you look at content success – Stop looking at unique site visitors as your sole success metric. In February 2016, Buzzfeed’s publisher, Dao Nguyen, announced that the company will start looking at success more holistically. If you share your content across multiple channels, 2016 is a great year to start looking at content views and repeat visits across all mediums. Represent your industry, not just your company – You don’t always need to produce original content to provide your audience with value. Consider creating your own trending news section and include relevant posts from industry publications and thought leaders. Instead of going to several different publications to catch up on the latest, your target market might choose to come directly to your website. 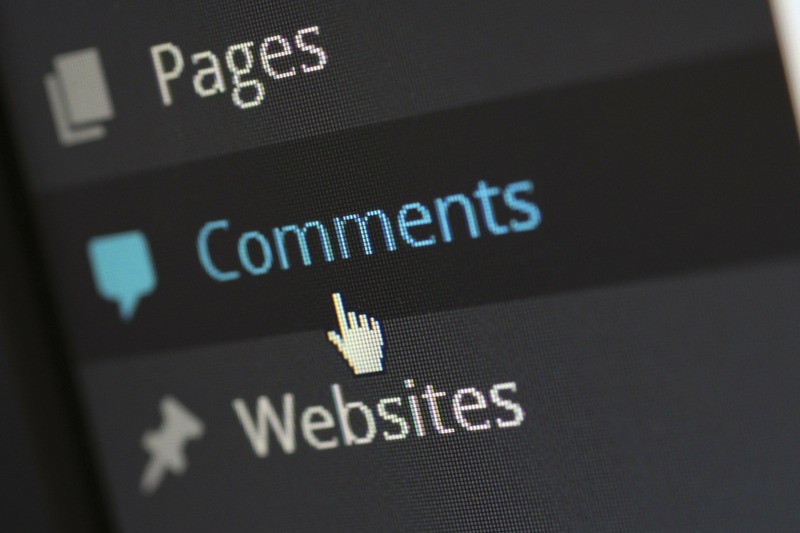 Blend social with your website – Go one step further than sharing your content on social media – Add a social media and non-social media capable comments section to your website. Every piece of Buzzfeed content allows users to add to the conversation via a comments section. Fluid interaction between social media and your website may encourage engagement.Companies can also add Instagram images, Twitter feeds, and other social media integrations. In addition to encouraging engagement, giving your audience control over some of the content that appears on your site may improve credibility. Use humor to grab attention – Everyone appreciates an occasional post that makes them laugh. Whether you work in the funeral industry or sell software, remember to balance thought leadership with humor and human interest pieces. Tell a joke, repost a meme, or tell a funny work story. Small businesses in today’s world must constantly innovate to get noticed online. Update your content strategies with some of these tactics to connect with your audience on a deeper level and gain a competitive edge in the digital space. Get outside your content comfort zone and start generating some buzz! This article was written by Rachel Winstead from Business2Community and was legally licensed through the NewsCred publisher network.